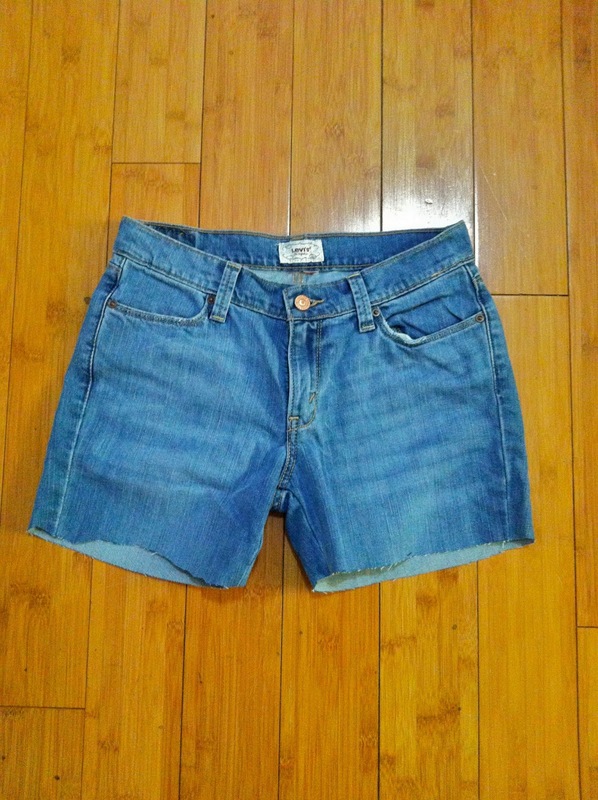 Like I said on Friday's Currently Craving post, I have been on the hunt for the perfect pair of distressed boyfriend style shorts. The DIY'er in me decided to make my own pair using a pair of Levis jeans I purchased at Goodwill for $8! 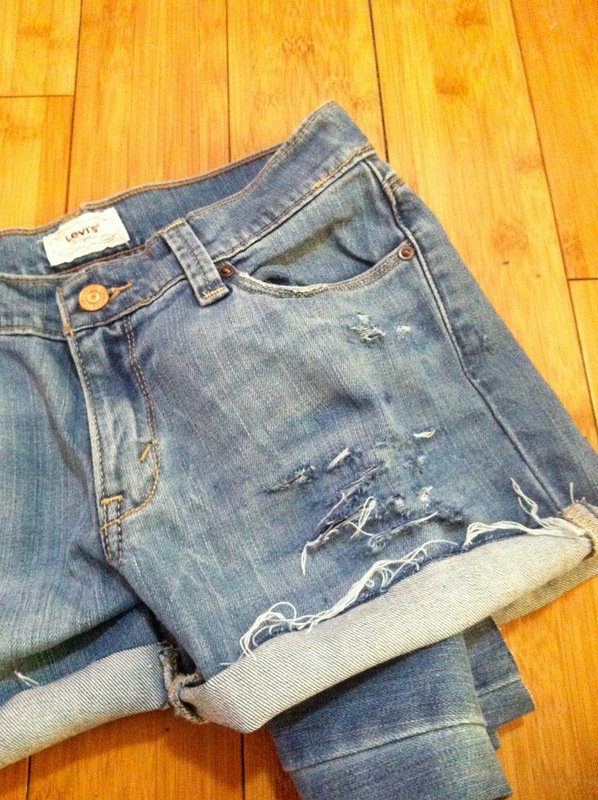 This is my first time distressing denim and I am by no means an expert! 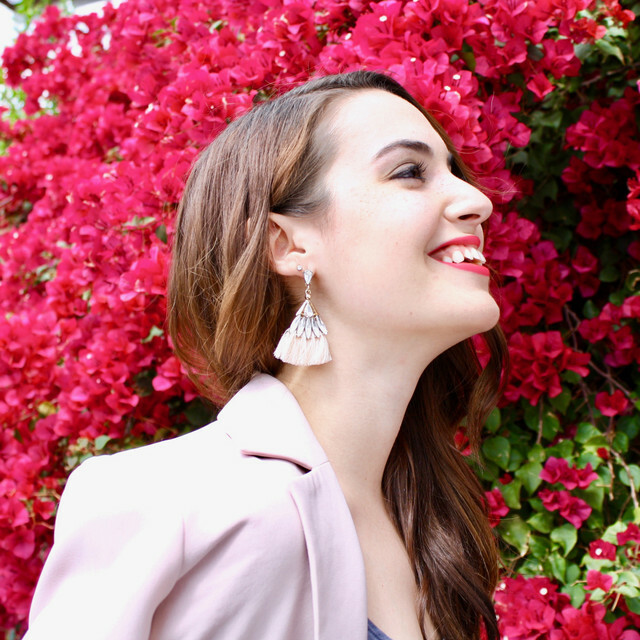 Stay tuned for tomorrow's outfit post to see them in action! 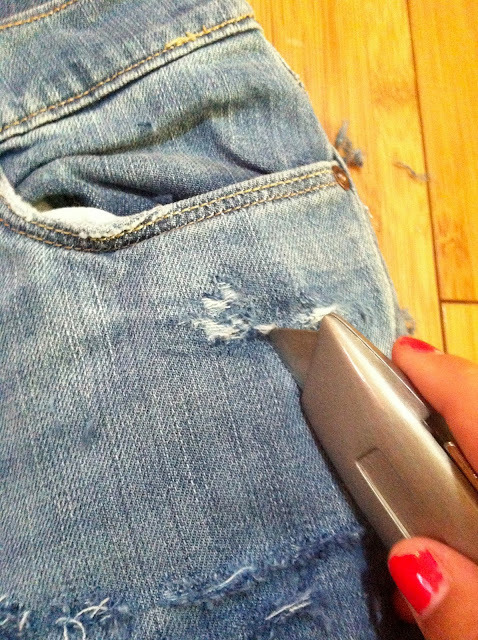 First step is to cut your jeans. In my opinion, this is the hardest part because you have to make sure you don't cut off too much. 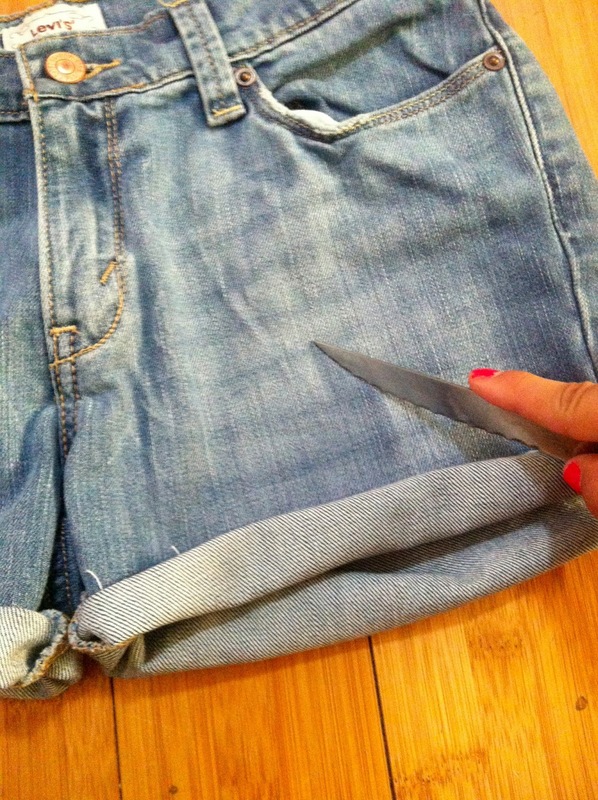 Always cut your shorts longer than you really want because you can always cut more. I wanted to roll the bottom of my shorts, so I cut mine a 1/2" longer. Ta da! 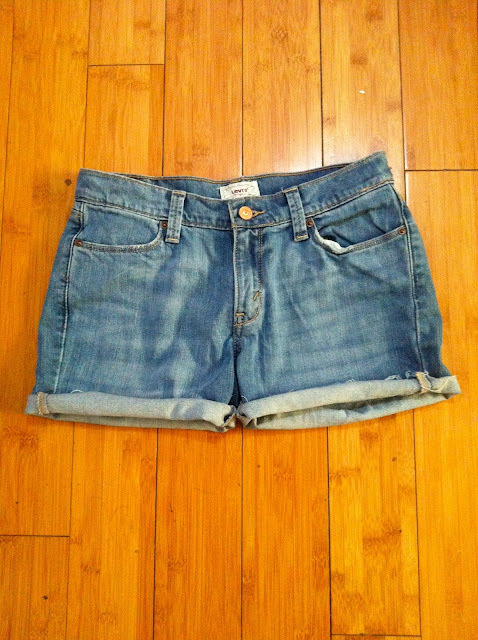 Now time for distressing! Get ready for an arm workout! I used a combination of a steak knife and exacto knife. Honestly it was just trial and error. 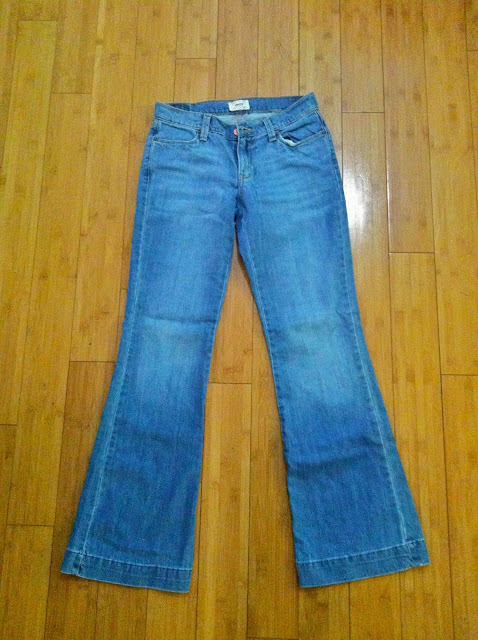 I didn't want to over-distress them because the washer will help me with that as will wear and tear. In a horizontal motion, run your knife along the denim. Don't press too hard! Also, make sure to stick something in the pant leg so you don't cut through to the other side.